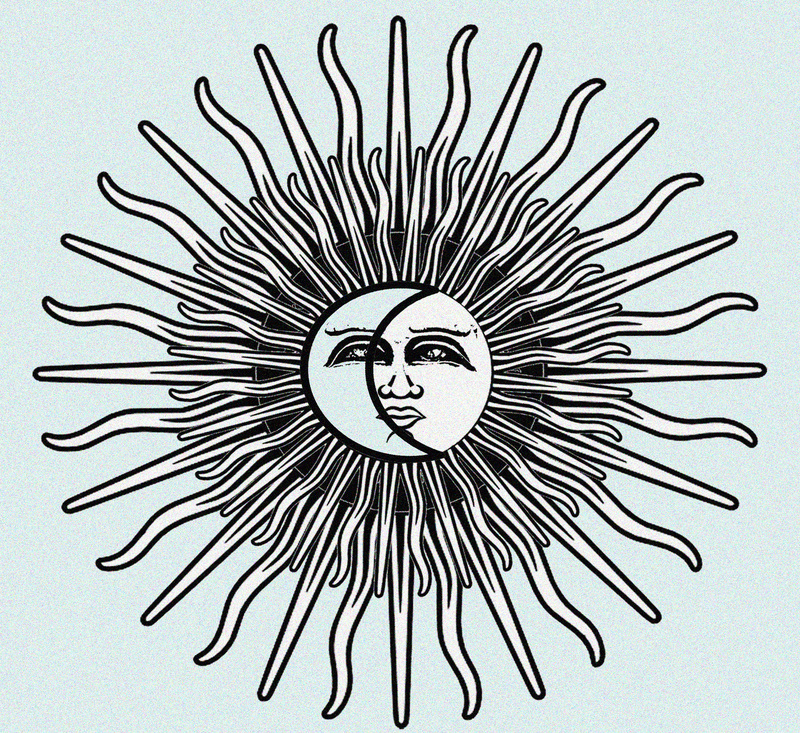 Folk Horror Revival – Witch Cults – First Announcement! Welcome to this, the first announcement of our exciting Witch-Cults event taking place July 14th in Newcastle upon Tyne, and we have a veritable smorgasbord of good stuff for your delectation. “The sounds created by Black Mountain Transmitter gives the impression of having been set in motion long ago by some remote force” – Julian Cope. Moving onto our daytime programme, this section will be made up of talks, film screenings and one or two other exciting developments still to be announced. Anyway, without further ado here are the details of the first speakers to be announced and the first feature film in our screening programme. Folk Horror Revivalist, Unearthing Forgotten Horrors DJ, and member of both The Equestrian Vortex and The Mortlake Bookclub. Darren Charles wears a number of different hats at various times but is very much embedded in the Folk Horror scene. Darren recently completed an MA in History at Newcastle University and will be using his expertise to discuss either Historical Accuracy/ Inaccuracy in relation to the Cinema of Witchcraft, or The Newcastle Witch trials. He has previously spoken on the topic of Folk Horror at Cambridge University, The British Museum, Edinburgh Summerhall, The Hepworth, Wakefield, and most recently at The Scottish Pagan Federation Conference at the Pleasance in April. Darren is a longstanding member of the Folk Horror Revival admin group and is currently hard at work on several book projects. Bob Beagrie, award winning poet and performer has published 7 collections of poetry most recently This Game of Strangers (Wyrd Harvest Press 2017) and Leasungspell (Smokestack Books 2016). His work has been translated into Finnish, Estonian, Danish, Urdu, Dutch and Swedish. He is a founder member of the experimental word and music collective Project Lono and a Senior Lecturer at Teesside University. Bob will perform sections from the epic poem The Seer Sung Husband, a verse novel about Old Mother Shipton and ill fated rebellion against Henry VIII known as The Pilgrimage of Grace. This gloriously campy over the top horror movie from 1971 directed by American racing driver turned director Bruce Kessler is the first title for our film programme. A psychedelic cult classic that so far remains unreleased on these shores in any format. It stars Andrew Prine as Simon Sinestrari, a ceremonial magician, who’s ambition it is, to become a god. Simon lives in a storm drain, selling charm and potions as a means of getting by. The film is a wild psychedelic freak out with drugs, parties, Satanic rituals and all kinds of lysergic madness and mayhem. Over the years Simon has become a beloved cult classic and Folk Horror Revival are excited to be bringing Simon to the big screen at the Star and Shadow, Newcastle. Both are available from the link below. Two Bobs from the Boro region will bring marvelous stuff to Winter Ghosts. An epic poem set to live music and recorded sound effects performed by Bob Beagrie, Sara Dennis, Kev Howard, Peter Lagan and S.J.. Forth, recounting the journey of Brother Oswin’s from the monetary of Herutea at Hartlepool to Whitby in the year 657 AD. Oswin’s carries secret letters from St Hild and must keep to the wee wegs as he traverses the wildoren, haunted by the ancient spirits of the land and his own grim ghosts. The piece brings the Wyrd of the dark ages to life in a strange language that is uncannily familiar. Bob Beagrie will also be reciting poetry with Jane Burn from their book This Game of Strangers earlier in the day on 17th December at the Rusty Shears book readings. Also appearing at the Metropole will be Bob Fischer, who will invoke a strange and sinister familiar figure from the past to bring us some eeriness to shiver our timbers. Bob Fischer is an experienced writer and broadcaster specialising in an eclectic blend of popular culture and folklore. His debut book Wiffle Lever To Full! (Hodder & Stoughton, 2008) was an offbeat travelogue of British science-fiction and cult TV conventions (‘A joyous, irreverent celebration of Britain’s secret love of the bizarre’ – Gay Times) and, in more recent years, he has written for the Fortean Times magazine, covering such diverse subjects as the hauntology movement, the books of Alan Garner, and the folklore and mythology of the North Yorkshire moors. This latter subject also formed the basis of his radio documentary Worms, Witches and Boggarts, broadcast on BBC Tees in 2014. He continues to broadcast regularly for BBC Tees, and is currently using his love of Northern folklore as the inspiration for his first novel, Juddwick. It’s a work in progress… but that’s what they all say, isn’t it? I would like to say a HUGE THANK YOU to Everyone who made the Folk Horror Revival British Museum weekend truly Otherworldly. Firstly Immense gratitude goes to Jim Peters whose hard work on this event was incredible and immaculate. Thanks also to the fabulous work by our compere Chris Lambert, the administration work undertaken by all our team, those present at London and those who kept the group running in our absence. Thanks to the British Museum staff, Treadwell’s Books, The Atlantis Bookshop,and The Last Tuesday Society & The Viktor Wynd Museum of Curiosities for their great support and kindness. To our incredible speakers and guests and to all Revivalists that came along. We hope you enjoyed yourself. All the support we have been shown and given has been phenomenal and very deeply appreciated. The Folk Horror Revival: Otherworldly event at the British Museum, London on 16th October 2016 – has now Sold Out. Your compere for the day (if the Black Meadow mist allows him to escape) is Chris Lambert. The event has been brought together by the hard work and tireless efforts of Jim Peters with help from the FHR administration cabal. Tomorrow Morning (Wednesday 7th September) at 9am (BST) tickets for the Folk Horror Revival Otherworldly Event at The British Museum go on sale. The event itself takes place on Sunday 16th October starting at 10:30 and runs until 17:00. It also ties in with other Folk Horror events that have been arranged on the Saturday for those who wish to make a weekend of it. Details of these other events are to follow. To purchase tickets you will need to click on the following link and follow the instructions. Tickets cost £20 with a £1.43 booking fee. There are only 300 tickets available so I would advise you set your alarm clocks to make sure you get your ticket. Once you have purchased a ticket you will receive a confirmation e-mail which you will need to print out and bring with you to the event as proof of purchase. You will also be asked for your name and e-mail address when booking – please fill this out as it will mean we will be able to notify you of future events and it will also help us with booking people in on the day. Treadwell’s Bookshop will be stocking special FHR merchandise all that weekend including tee-shirts, books and cds so make sure you include a visit to their wonderful emporium whilst you are in town for the event. Treadwell’s is a few minutes’ walk from the museum in Store Street and well worth an explore.